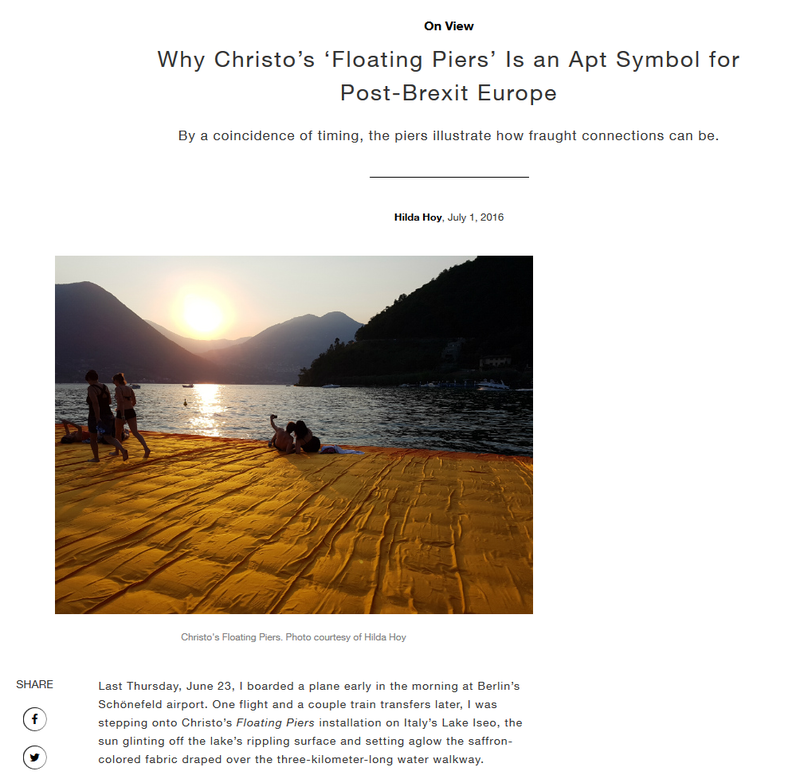 In late June 2016, I flew to Italy to see and experience Christo’s Floating Piers, a monumental public artwork that let people walk across Lake Iseo on a network of fabric-draped pontoons. Coincidentally, it was the same day on which the U.K. stunned the world by voting to leave the EU. With Europe rocked in the days and weeks that followed by the fallout from the Brexit referendum, I wrote a review and analysis for Artnet on how Christo’s striking installation, a beautiful and utopian project that grew into a logistical nightmare, could be seen as a symbol of Europe’s current political struggles.